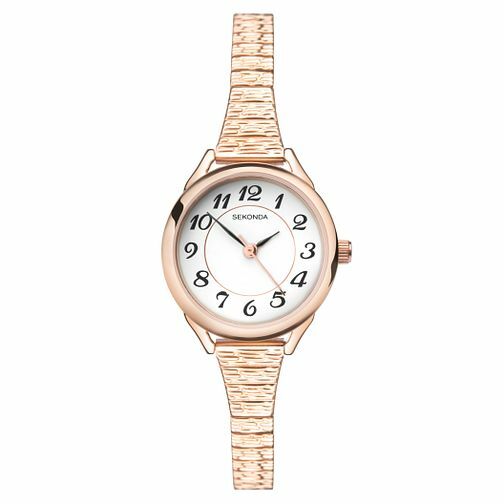 This simply styled ladies' watch from Sekonda is the perfect accessory for any outfit and for any occasion. Its easy-to-read dial features black Arabic numeral hour markers set on pure white, whilst the textured, slim rose gold plated stainless steel bracelet adds style and comfort. This ladies' Sekonda watch is the ideal everyday timepiece.